As technology goes, the move from 3G to 4G was incredibly uneventful. In fact, my phone still reverts to 3G more often than I’d like. So, what’s the big deal about 5G? Is it something that will make waves—or leave us wanting? From what I can see, the answer is waves. Big ones. I’ve heard 5G explained a lot of different ways. The one I like best: moving from 4G to 5G is like moving from typewriter to computer. It has the potential to revolutionize—yes, revolutionize—numerous different industries, from manufacturing to gaming and entertainment. In fact, I’d venture to say we could kiss the Internet of Things (IoT) goodbye if it weren’t for the development of super-fast, stable 5G technology. There would simply be too much data—and too many connected “things”—for current networks to handle. 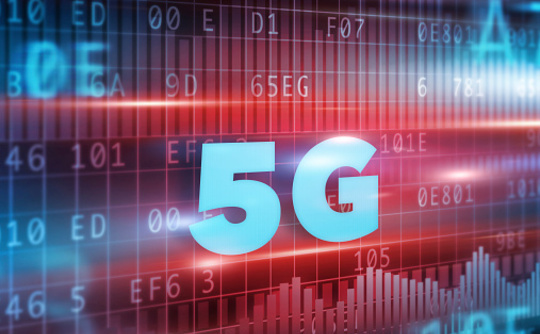 Could 5G be the technology that finally pushes autonomous cars and drones into the public sphere? I think it could be. In fact, some are calling it the “oxygen” of self-driving cars. Because of its speed and ability to compute in real-time, it will be able to connect to other vehicles—people—buildings—and street lights in ways 4G simply does not allow. That could result in the creation of better, smarter, safer vehicles that can instantly re-route, estimate arrival times, avoid accidents, and keep our streets safe. Of course, much of this relies on the concept of using the IoT to build smarter, more connected cities. And yes, 5G will be the basis of that, as well—daily drone flight patterns included. Robotic surgery itself isn’t new. The DaVinci robot has been performing procedures for a number of years now—often from a nearby room in the same hospital or medical office. But 5G allows physicians to take that technology on the road—performing surgeries from hundreds of miles away. Because it’s so reliable, surgeons know there will be no unexpected glitches or down-times during their procedures. This could revolutionize healthcare for people living in more remote areas of our country and world. Clearly, we’ve been innovating factories for quite some time. I’ve written about it extensively, especially as it relates to the IoT creating a new “industrial revolution.” But with 5G technology—which is 100 times faster than 4G and 10 times faster than broadband—the world is our oyster in terms of creating new models of factories themselves. For instance, Qualcomm is working with Honeywell, GE, and Ericsson on the “5G Innovators Initiative” to create a new “blueprint” for the factory of the future. Again—5G is allowing for the creation of things unknown, not just the improvement of current processes. Outside the business landscape, I imagine the gaming community is celebrating the launch of 5G more than any other. Because of it’s speed, it will allow for the develop of truly immersive, real-time gaming—without the technical glitches and lags that can impact online games and eSports. By 2020, 5G aims to reduce latency times of a millisecond—nearly instant. It will also allow for the development of even more—and better—augmented reality, further blurring the lines between real and artificial experiences. For instance, rather than Pokemon appearing in different places in the real world, they will be able to move and interact with the environment in real time. Given the huge role the IoT is set to play in the industrial sector, it stands to reason the entire supply chain will benefit from 5G and its ability to connect and communicate among a widely disparate group of connected things. This will provide even greater efficiencies—even higher quality—and even greater transparency for customers—all goals of digital transformation. In many ways, 5G is our way of catching up to the technology we’ve created—to allow it to act the way we designed it to. In other ways, it holds the potential for things we have yet to imagine. Making waves is one thing; creating entirely new oceans is another. I, for one, am excited to go swimming. Apple Dumping Qualcomm in Future iPhones: Good or Bad Move?